RidetheBerg, a new two-day mountain bike stage race, scheduled for 25 and 26 June 2016, is set to establish the Northern Drakensberg as one of the premier mountain biking destinations in South Africa. Stimulated by the success of the Absa Cape Epic, established in 2004 and the Sani2c, established in 2005, there are now more than 60 multi-day mountain bike events in South Africa each year. The high volume has led to the events market becoming highly competitive, with stage races vying for fresh rider experiences and unique selling points. On average, there is more than one stage race per week to choose from and consequently South African mountain bikers are spoiled for choice and have become eminently discerning in their event choices. Any new stage race needs to offer either exceptional value for money or an incredible experience. Or both. Curiously, no mountain bike stage races have been established in South Africa’s largest mountain range, the Drakensberg. Until now. The Drakensberg range is over 1000km long and stretches from the Eastern Cape in the south to the Limpopo province in the north. But the most significant section of the range exists in the province of KwaZulu-Natal, where tourism flourishes and the mountain is divided roughly into Southern, Central and Northern ‘Berg’. RidetheBerg will see mountain bikers cover 100km of mountain trails in the Northern Berg region. The trails have been purpose built for mountain biking under the leadership of Chris Mecklenborg, an American adventure sportsman who relocated to South Africa in 1999. Mecklenborg has been steadily building singletrack trails over the past decade in the Northern Berg, a significantly less commercialised section of the Drakensberg, giving the area a true wilderness feel. Some of these trails will form part of the RidetheBerg race route, but he recently secured land access to new areas, which will see the addition of around 60km of new trails, giving mountain bikers a fresh challenge. In 2015 Mecklenborg partnered with local businessman, Warren King and launched RuntheBerg, a two-day trail-running event that was an immediate success. Mecklenborg has also been staging the Royal Drakensberg Challenge, one-day mountain bike race in the area, for the past nine years to raise funds for the local primary school. “With RidetheBerg, we’re putting the ‘mountain’ into mountain bike stage racing,” smiled Mecklenborg. “The Drakensberg is an exceptionally harsh and rugged range and it’s not easy to build mountain bike trails here that are appealing to a fairly large part of the mountain biking market. You need to be able to make the climbing sections challenging, but not too formidable and the descents fast and fun, but not treacherous. “With RidetheBerg, we’ve developed a route that will offer something different. I have done many of the South African mountain bike stage races myself and each one offers something special. But none is entirely based in huge mountains and that’s where RidetheBerg will really stand out. No matter which way your front wheel is pointing during the race, you will know that you are in the mountains!” added Mecklenborg. Stage 1 will be over 55km with 1 187 metres of vertical ascent and Stage 2 will be over 45km with 1 008 metres of accumulated climbing. “We could have made the race distances longer, but we want people to finish each stage with enough energy to enjoy the rest of their day in this part of the Drakensberg. A combination of the altitude, the gradients and the surfaces will certainly provide a sufficient challenge for even the most experienced mountain bikers,” said Mecklenborg. 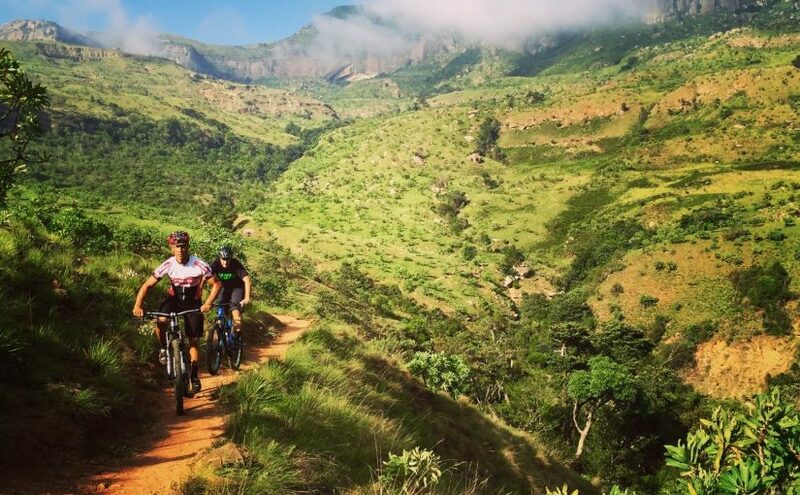 Entrants will find themselves riding in the shadow of the Amphitheatre, widely regarded as one of the most impressive cliff faces on earth; and along the banks of the Tugela River near its source at Mont-aux-Sources. The Tugela River is the largest river in the KwaZulu-Natal province and one of the most important rivers in South Africa. Unlike most mountain bike stage races, RidetheBerg will not have a central tented race village. Instead, entrants will be able to choose from any of 21 different accommodation establishments ranging from camping to four-star hotels in close proximity. 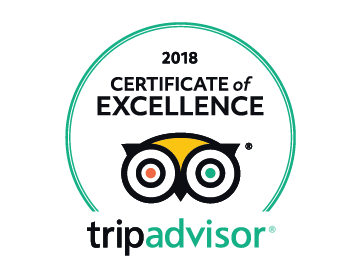 This allows them to bring along family and friends to share the Northern Berg experience. “The tent-village model can be somewhat exclusionary and we’re aiming to avoid that with RidetheBerg,” said Mecklenborg. The start and finish of each stage will be at All Out Adventures, one of South Africa’s favourite family-fun outdoor activity parks, which offers non-riding visitors an extensive range of stimulating activities. Being just a four-hour drive from Johannesburg and a three-hour drive from Durban, the inaugural edition of RidetheBerg is expected to attract a large field, although the organisers have decided to limit the total number of entrants to 600. Unlike most stage races, RidetheBerg is a solo-entry event. 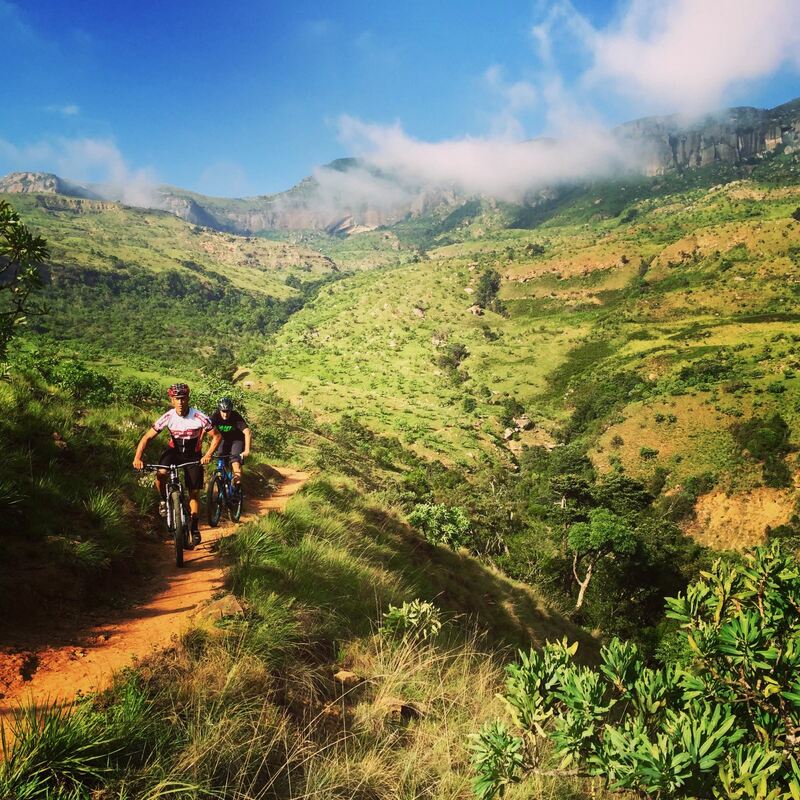 “Most of the trails in RidetheBerg are singletrack. We don’t want them to be overcrowded and a source of frustration for participants, so we have capped the entry total,” said Mecklenborg. The organisers decided to hold RidetheBerg in the winter to avoid the possibility of rain and excessive heat, both of which would make the event extremely uncomfortable. Each stage will have a 09h00 start time, after the early morning chill has subsided. Entries cost R1800. Entry can be done online at www.ridetheberg.co.za, where there is also more race and accommodation information.